among the characters in the Transformers movies, Bumble Bee in the guise of the Chevy Camaro is perhaps the most memorable, if not cute. 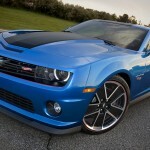 though, Michael Bay’s rendition of the Bumble Bee is not the Beetle that we love from the cartoon series but the Camaro is nevertheless equally stunning. 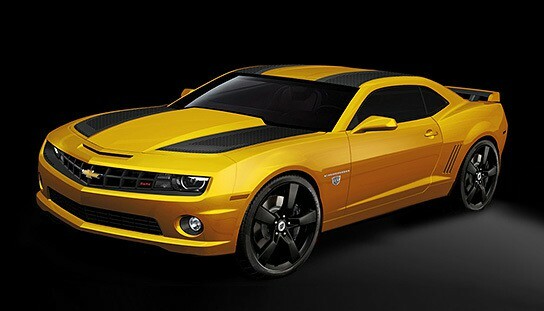 for those who can’t enough of the heroic Bumble Bee, here’s your chance to get piece of the hero in the form of the Chevrolet Transformers Special Edition Camaro. don’t worry, this Camaro won’t drives itself off or transform into an alien robot but instead, it sports a host of cosmetic improvements to look like its movie counterpart. 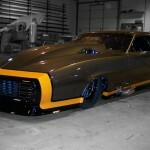 the special edition Camaro received the familiar rally yellow paint job with a pair of exclusive carbon-fiber weave rally stripes running from the hood through to the roof, decklid and spoiler. the Autobot shield are found on the front quarter panels, center console lid, center wheel caps of its 20-inch black painted wheels as well as embroidered into the headrests. last but not least, the interior are upholstered in black leather with yellow stitching. 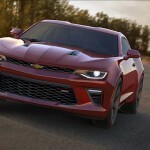 the Transformers Special Edition Camaro is offered in two trim levels – 2LT and 2SS and order for this exclusive vehicle starts from June 27 with a price tag starting from $31,650.